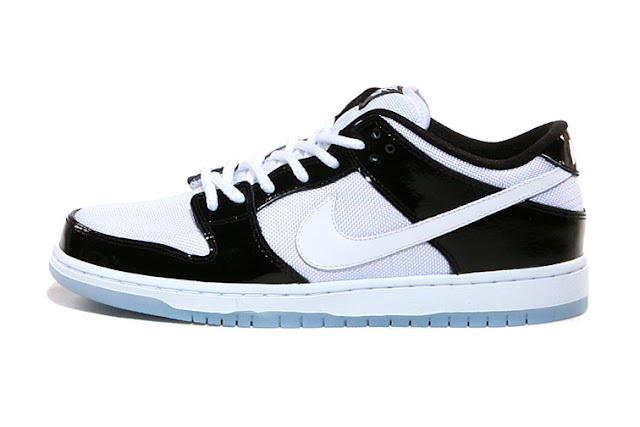 hello saskatoon: Nike SB | Dunk Low Pro "Concord"
Canada has been blessed with the Dunk Low “Concord”. Like the “Space Jam” Dunk, it is also based off of the iconic Air Jordan XI. The upper is a black patent leather, white mesh paneling and a white patent Swoosh all sitting on an icy purple sole. These will be available at 10 am on Saturday, May 11 at Momentum Marketplace. Please don’t start a riot!